When your check engine light starts flashing, this is a certain sign that you need to call us for a Lexus service. Pleasanton is home to Domestic Autopro, and we specialize in providing top-notch Lexus service and Lexus repair to Pleasanton customers since 2006. Let us take care of your Lexus by providing you with high-quality auto repair service that will help in maintaining the durability and reliability of your car. If you come to us, rest assured that your Lexus service and repair will be done right the first time and in a timely manner. It's important to remember that even though your Lexus is known to be a reliable car, anything can happen. 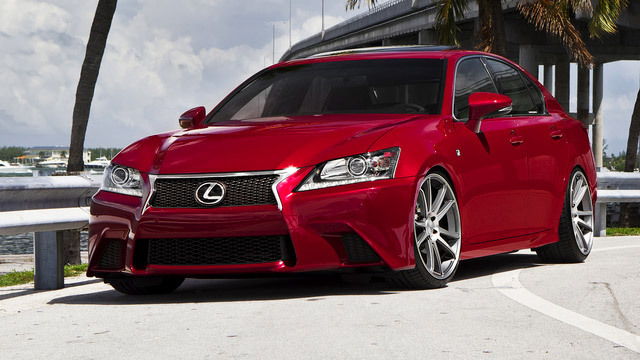 We offer Lexus service in Pleasanton which is easy and fast, thus making an exceptional experience for you. We have a team of experienced and ASE-certified technicians who are experts in providing top-quality Lexus service and repair. If your Lexus needs transmission repair, suspension service, brake repair or an oil change, you can always rely on Domestic Autopro. Being a Lexus owner you already know that the durability and reliability of your car depend on the type of service it receives, either from a dealership or an auto repair shop. For top-notch Lexus repair and service, Pleasanton driver can trust us to take care of their vehicle and extend its life for years to come. Making an appointment for specific repairs or general maintenance is quite simple. You can either schedule an appointment online or give us a call. When you visit Domestic Autopro, be certain that you will receive the best possible level of customer service and experience for all of your Lexus service and repair needs.